How Many Bones Are in a Cat's Body? How Many Do Their Tails Have? How Many Bones Are in a Cat’s Body? How Many Do Their Tails Have? The human body starts out with 270 bones at birth. By roughly the age of 30, the majority of us have exactly 206 bones in our body. While we humans don’t really have tails, our tailbone, known as the coccyx, usually starts out with 4 – though sometimes 3 and sometimes 5 – bones. By the time we reach adulthood, these bones typically become one singular, fused-together bone. In some humans, the bones in the coccyx never fully fuse, and the result is a tailbone made up of two separate bones. 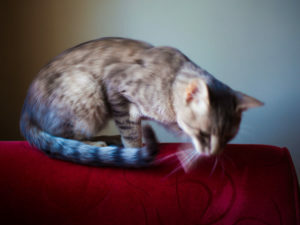 Now that we have a baseline of what’s normal for humans – what exactly is normal for cats? How many bones do our furry little felines have in their bodies? And how does this compare with the number of bones dogs have in their bodies? How many bones do cats have in their tails? Obviously, you’re clever – you know the number’s a lot higher than a human’s pathetic 1-2 bone coccyx, but how many more bones are we talking? And what percentage of a cat’s total number of bones are in his or her tail tail versus the rest of his or her body? Those questions and many more are what I’ll be covering in today’s article. Let’s jump into the facts! How Many Bones Are in a Cat’s Body? The average adult cat has 244 bones in its body by the time it’s full grown. This is substantially more than the average adult human – who typically has 206 bones exactly by the time he or she reaches the age of 30., and pretty well near pales in comparison to the number of bones an adult dog has on average. Canines hit an astonishing 319 bones by the time they’re full grown. So between humans and canines, cats sit pretty snugly in the middle. Some full-grown humans don’t have exactly 206 bones – though the variance in number of bones from human to human is pretty slim – between 206 and 208 if I’m correct. Some full grown dogs also don’t have the standard 319 bones in their bodies either. Again, variance is typically pretty slim amongst dogs, and it seems they can have between 319-321 bones in total once full grown. Variance in total bone number varies a lot more from cat to cat – much more than with humans and canines combined. Whether a canine is large or small – a tiny Yorkie or an enormous Great Dane – they have on average the same amount of bones in their bodies. 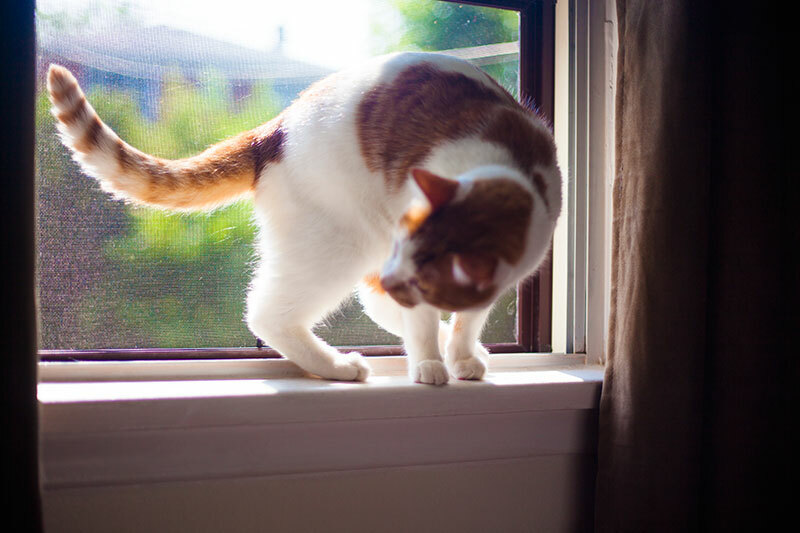 Cats with longer tails, however, often have more bones than average in their tails, so size, specifically tail size, does seem to matter with cats when it comes to total bone count. What matters even more is the existence of a relatively common congenital physical anomaly in cats. It’s called polydactylism, and cats with this condition have more than the typical 18 toes on their body. 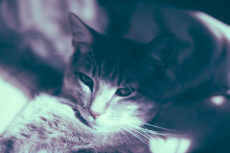 The average cat paw has four or five toes on it, but a polydactyl cat can have anywhere between four and seven toes on one or more of its paws. The record number of toes on a cat? A staggering 28. How Many Bones Are in a Cat’s Tail? Adult cats have anywhere between 18 and 28 bones in their tails, though the average is somewhere around 20-23 bones. That’s approximately 10% of the total number of bones in their bodies, though of course the percentage varies considerably from one cat to the next. It’s probably around 7% to 12% of a cat’s total bone count, considering there’s so much variance in the number of bones adult cats can have in their bodies and tails. Factoring in how much variance there is when you count the vertebrae in different cats’ tails, the total number of bones in a cat’s body probably rests somewhere around 240 bones on the low end and 255 bones on the high end. 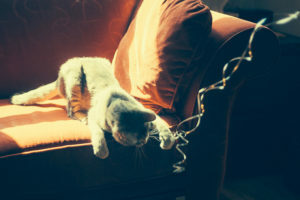 Some cats may have more or less than these numbers depending on how short or long their tails are and whether or not they have polydactylism. Again, that’s a ridiculously wide range in comparison to humans and canines. 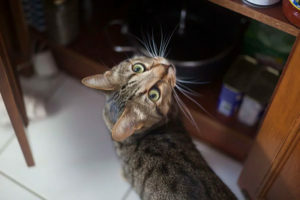 What does it mean if you have humans, dogs, and cats at home? 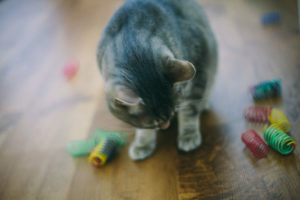 It’s likely every one of your cats has a slightly different number of bones in their body, while all the humans in your house and all the dogs as well are likely to have the same number of bones as each other. 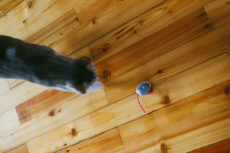 The cats you have, especially if any have polydactylism or some have long while others have short tails, could have vastly different numbers of bones, while even if the humans and dogs in your house have varying numbers of bones in their bodies, they’re likely at maximum one, maybe two bones apart. Thoughts on Cat Bone Number Counts? Have you ever wondered how many bones were in a cat’s body in total? The number of bones specifically a cat’s tail had? Did you guess there would be so much variance, or did you think cats were more like humans and canines and had very little variance in number of bones between them? Do any of your cats at home have more than the standard 18 toes? If yes, you’ve got a polydactyl cat! Did you already know this? Love to hear your thoughts in the comments below! How Many Teeth Do Kittens Have? 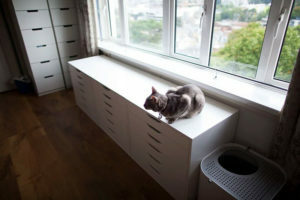 Do Adult Cats Have More? 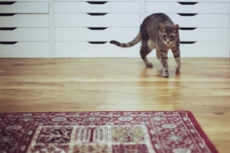 How Fast Can a Domestic Cat Run? Then there are the cat breeds that don’t have tails, like Manx. There is also the breed, can’t remember the name atm, that looks like it has a bobbed tail but actually has the full number of bones on the tail, they are just very small. Yes, I’ve been watching Cats 101 on Disovery Channel. As for humans, a big part of the difference is in tiny bones. In your hands, at one time there were small bones, like the patella on your knee that protect the joints. Most of those are now no longer there but it varies from person to person how many they have. I would love to be owned by a polydactyl cat someday. Cat toe bones are a big deal here in the USofA, because there is a bunch of us who want declawing (the surgical amputation of the cats first knuckle and nail) made ILLEGAL! 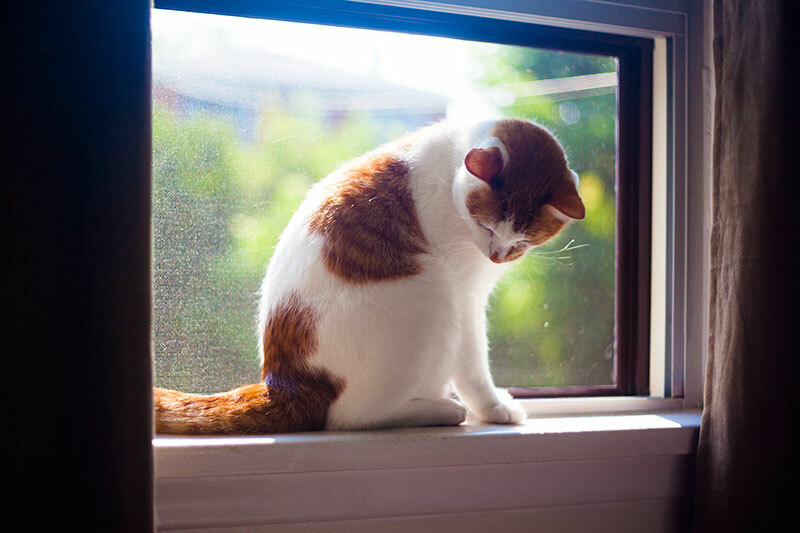 The average person doesn’t know that it’s a painful, debilitating procedure for cats, and the veterinarian’s WON’T give the full information to cat parents who ask. Check out The Paw Project or City The Kittys websites to learn more! I would even love to MEET a polydactyl cat – maybe I have and didn’t even know it! Now knowing they exist makes me want to count the toes of every cat I meet. Declawing should be made illegal :(. Although I feel I’m not all that comfortable with the idea, there are those glue on cat nail caps nowadays so at least that’s a much better alternative to declawing. It’s really frustrating to me how common declawing was in the past; I think it’s so “normal” for some people that it’s part of the only reason anyone still does it at all today. 🙁 Not cool.